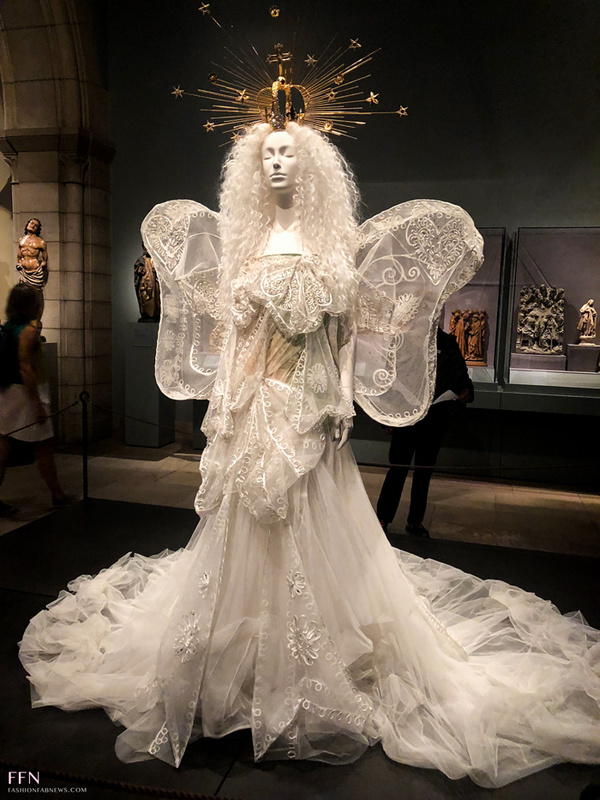 'Heavenly Bodies' At The MET - The Fashion Exhibition | Fashion Fab News - fashion, beauty, celebrities, designers . 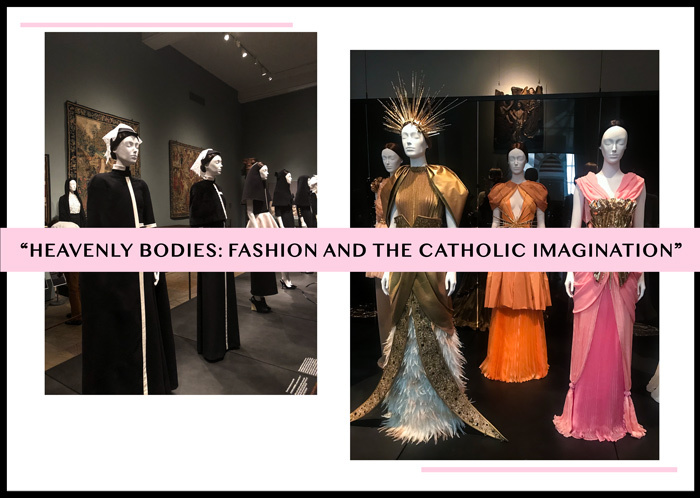 The Tuesday after the MET Gala I was ready to see the "Heavenly Bodies" exhibition at the Metropolitan Museum of Arts. 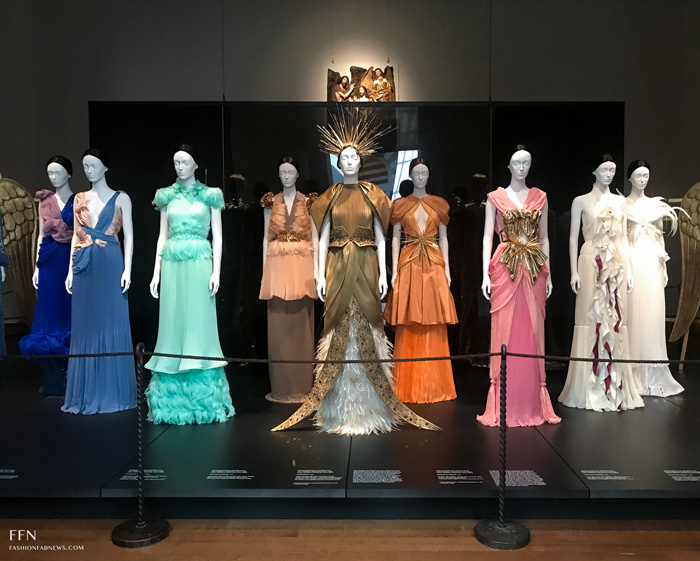 For me, the fashion exhibits at the MET are just amazing and give the public the opportunity to see fashion pieces that are unique and probably not available anymore. The garments showcased at the museum are so priceless for the fashion industry that only designers or collectors can own them, that's why is so important to preserve them and show them to the public. I always go to see each of the fashion exhibitions at least twice every year. They are so inspiring and remind me how much I love being a designer. 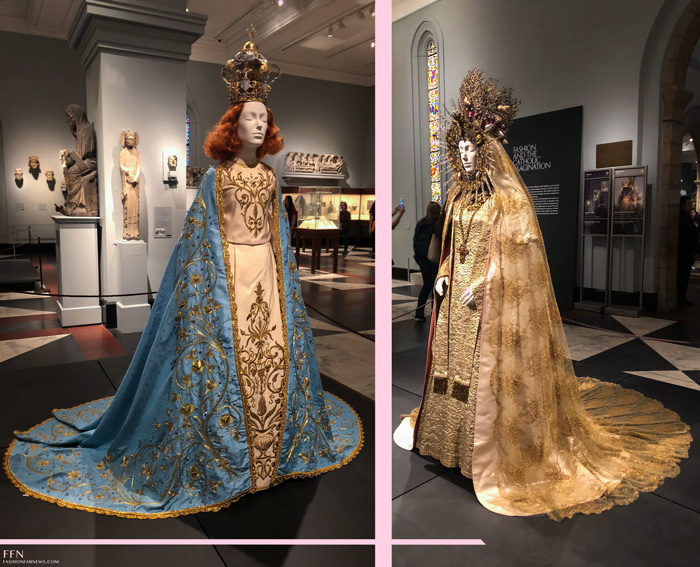 We all love the MET Gala, but the real reason behind the extraordinary event is to raise funds for the Anna Wintour Costume Center and have spectacular curated exhibitions at this legendary museum like the current one. 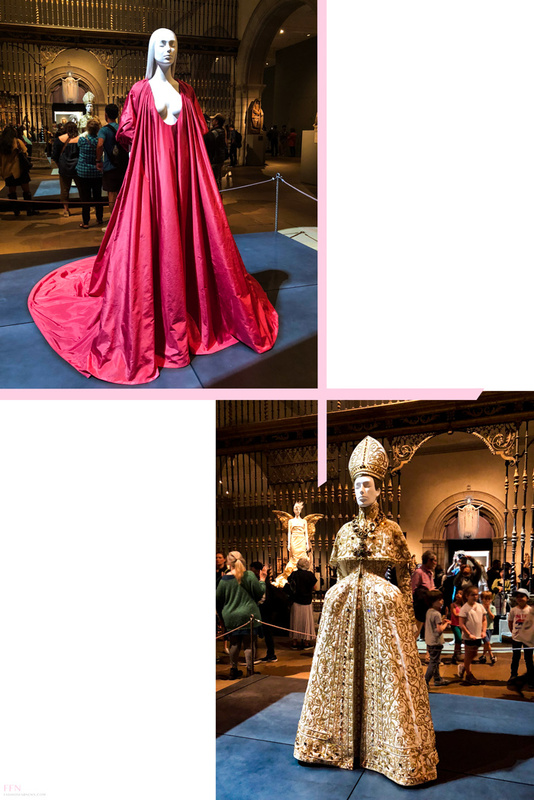 “Heavenly Bodies: Fashion and the Catholic Imagination” runs through Oct. 8 at the Metropolitan Museum (1000 Fifth Ave.) and the Cloisters (99 Margaret Corbin Dr.) in NYC. It includes more than 150 couture ensembles; most of them from Dolce & Gabbana, Balenciaga, Rodarte, Versace, Jean Paul Gaultier, John Galliano. This time the exhibition doesn't have any crazy futuristic features like the past few years, but it is different and curated in an elegant way. Every garment has a specific detail or style which references the Catholicism and the Byzantine period making it ostentatious and distinctive. The Fifth Avenue location also has 40 ecclesiastical pieces from the Sistine Chapel Sacristy and some of them have never left the Vatican before until now. The exhibition is made possible by Christine and Stephen A. Schwarzman and also Versace with additional support provided by Conde Nast. The mannequins were beautiful and perfect for this exhibition. Their wigs were absolutely stunning and their facial features were nicely shaped. Just clean and aesthetically minimal figures that allow the garments to shine. I also love the subtle details included in this exhibition such as the spotlight on the mannequins' faces to give them a holy vibe or "the choir" on a balcony where the public wouldn't detect it easily. 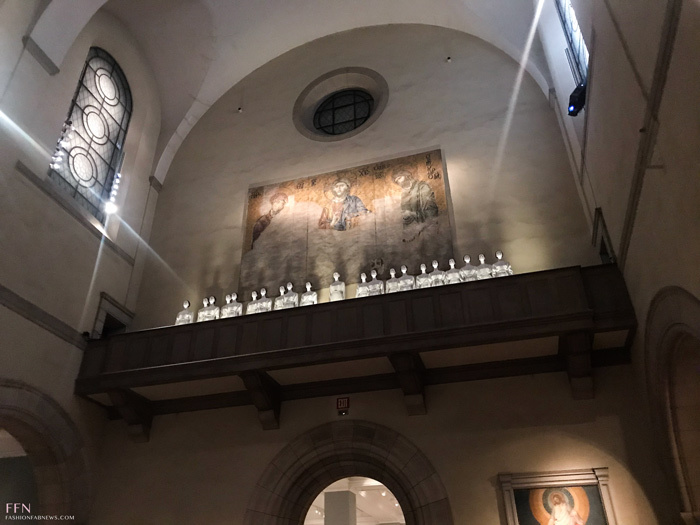 The only downside of this exhibit is that I would have liked to see more information about the historical context of these pieces and how they are related to the Catholic theme. In conclusion, I highly recommend you to visit this exhibition and I guarantee you that I would go back to the museum for my second round. I hope to see you there! If you want more information about the "Heavenly Bodies", visit The MET website here.